This is one of my go to stir fry recipes. 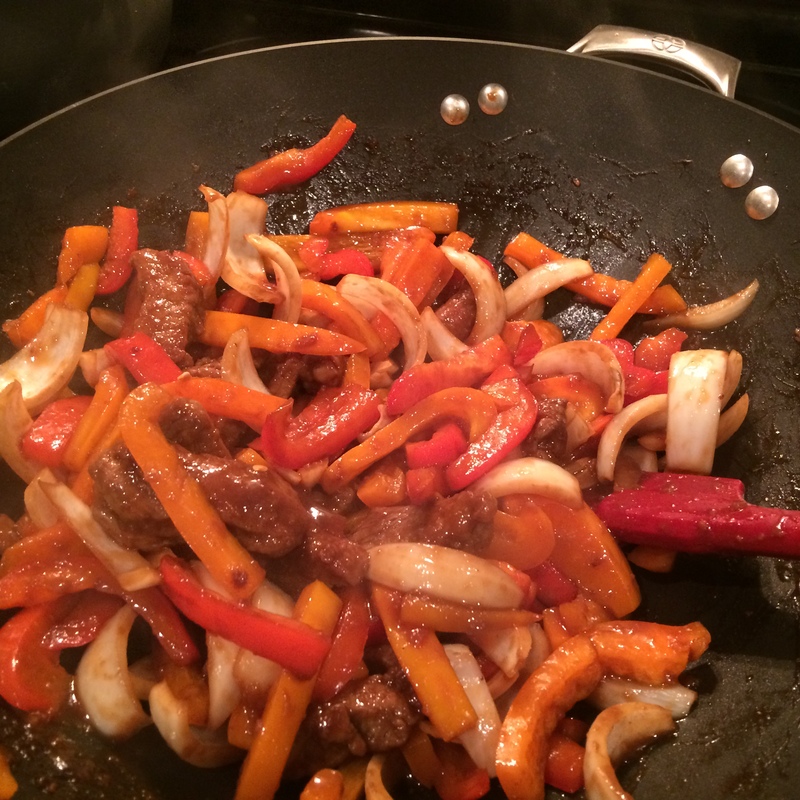 It incorporates steak, bell peppers, and onions which include some of my most favorite ingredients to cook with. It has a good thick sauce that has a little bite to it but is not overly spicy by any means. It also produces enough sauce to properly coat the ingredients and rice but isn’t too runny where it ends up in a pool in your bowl. 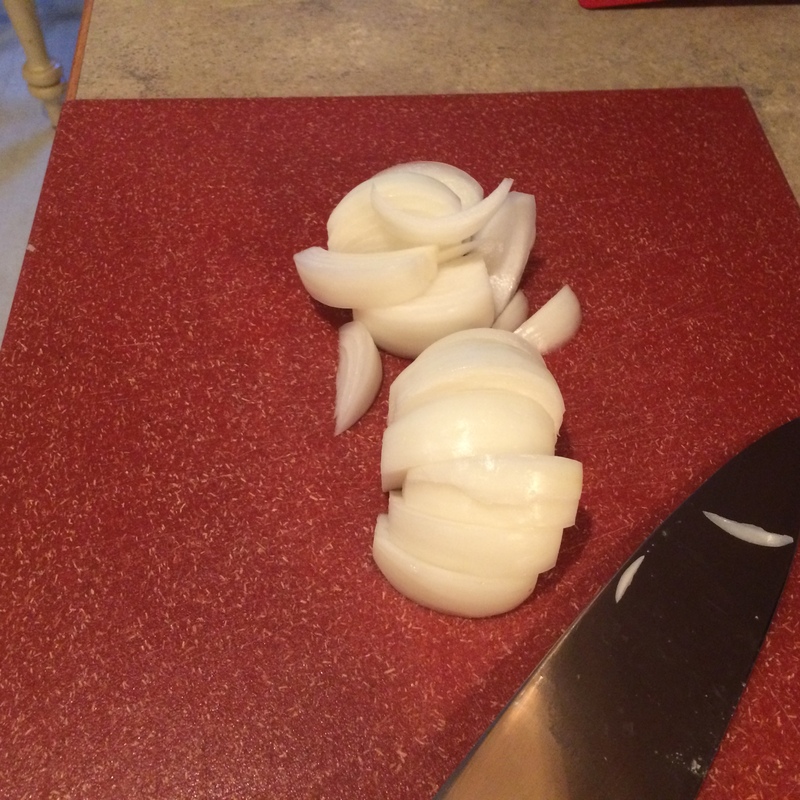 Have I mentioned that every good meal starts with preparing an onion? There are few things that I make that don’t have onions in them. 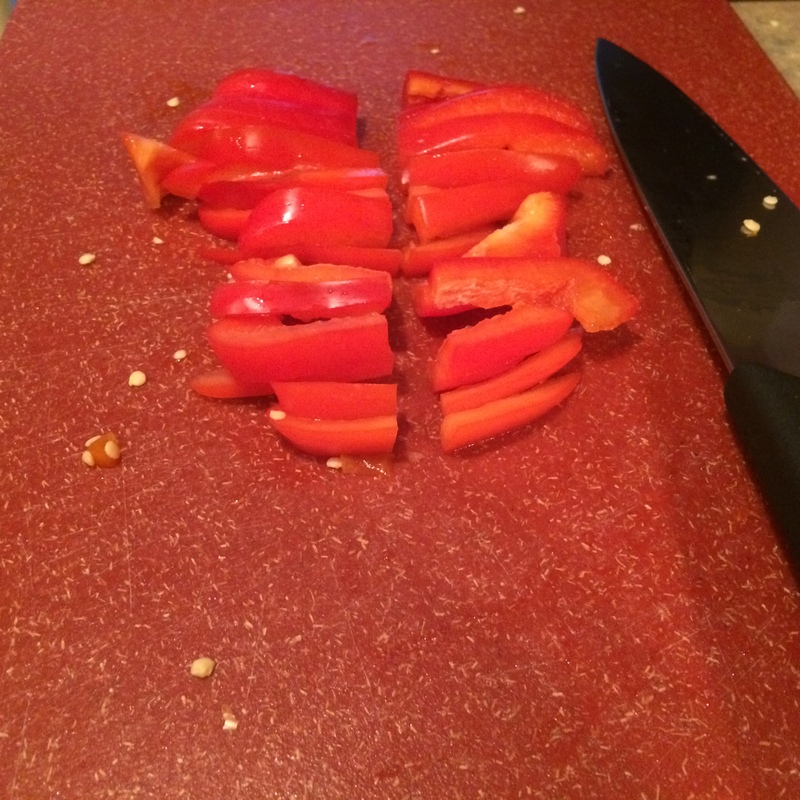 I also love cooking with bell peppers whenever I get a chance. By the way, if you’ve never prepared a bell pepper or another particular ingredient and you’re not sure how, you should check out the app called How to Cook Everything. This app has tons of recipes and teaches a lot of cooking skills but the part I use the most is it where it has tips and instructions on how to prepare different ingredients. I use this all the time while in the kitchen to check on ingredients I’m either new to or I’m not comfortable with yet. I’ve included my recipe below. Prepare the sauce. 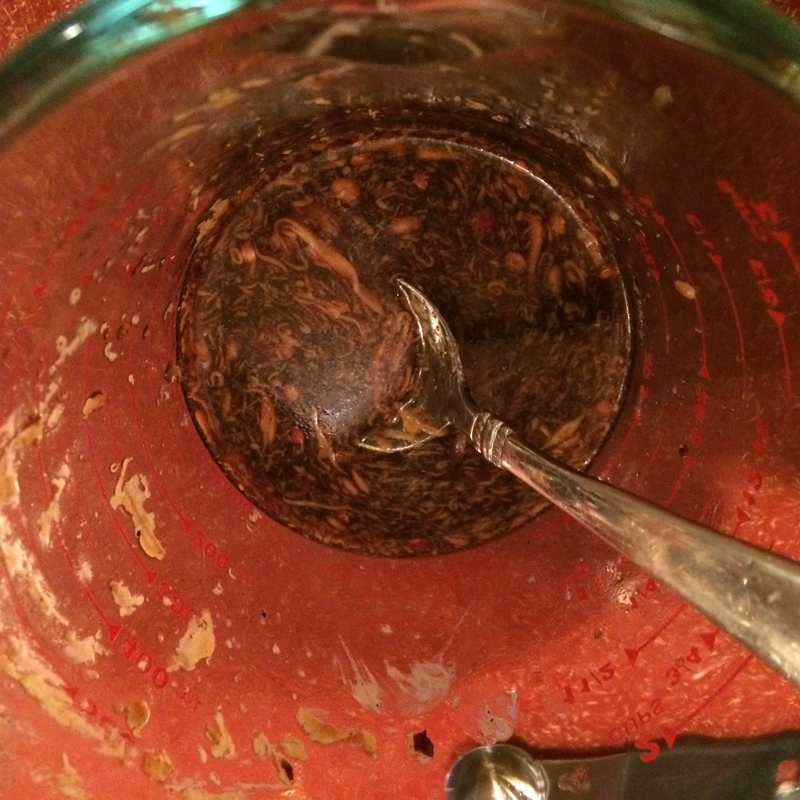 In a bowl, mix in just a little of the soy sauce with the peanut butter, honey, sesame oil, and rice vinegar so it can incorporate together well. Pour remaining soy sauce in small increments and stir to incorporate. Add the black pepper, hot sauce, and red pepper flakes and stir to combine. Heat 2 tsp sesame oil in a wok or large skillet over medium high heat. Dredge steak in flour while pan is getting hot. Add steak to the pan when it is well heated and stir fry for 4-5 minutes depending on the thickness of the steak. It doesn’t have to be all the way cooked through at this point but should be well browned around the outside but not burnt. Add sauce and stir fry for one minute. Add vegetables and stir fry for 4-5 minutes depending on how tender you want your bell peppers.